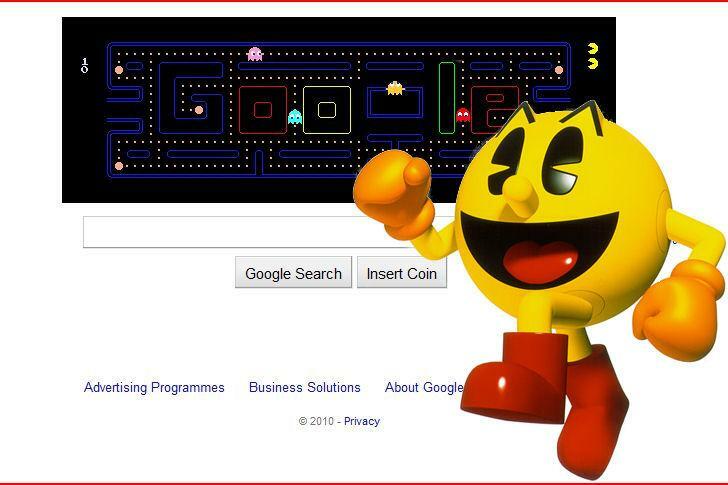 Namco's big yellow guy turns 30 today and Google celebrates by turning their logo into a playable game of Pac-Man for the day. This "doodle" (the official name for Google's holiday makeovers) has 255 levels plus a 256th-level kill screen, just like the original arcade game. To get your game on, visit Google (don't accidentally go to the Firefox Google start page) and click the Insert Coin button next to the Search button. Enjoy.